Vera de Wit was born in 1991 in Berg en Terblijt, The Netherlands. She started her study in Medicine at Maastricht University in 2010 and graduated in 2016 with a special focus on internal medicine and cardiology. Parts of her internships were performed in Quito (Ecuador) and in Neuwied (Germany). The scientific program of her Medicine Study was performed at The Maastricht Study, where her research focused on the role of glucose metabolism status in the development of white matter hyperintensities (abnormalities) in the brain. 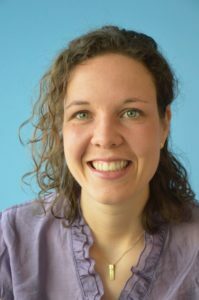 In September 2016 she started as a PhD candidate in the research group of Professor Schrauwen and Professor Hesselink at the department of Human Biology. Vera’s research project is entitled ‘The role of cardiac mitochondrial function and lipid accumulation in the development of cardiac insulin resistance; etiology and treatment strategies’. This project aims to investigate the cardiac function in diabetes using imaging.